Last Updated: 09 Aug 2013. There are certain things in this world whose utility value is beyond estimation. One such thing is a book and happy is the man who acquires the habit of reading. Reading books provides a life-long source of pleasure. Not just pleasure but also books provide instruction and inspiration. Hence we can aptly refer books as our friends, philosopher and guide. One never feels lonely in the company of books. One never feels bored in his leisure time. One who possesses books is a possessor of wealth more precious than gold. Ruskin called books, "King's Treasures". Poor indeed is tha man who does not read. If we choose the right kind of books, the blessings of reading are very many, apart from giving the highest kind of pleasure. Good novels and books of imagination provide healthy recreation when we are tired or the brain is weary with serious issues. 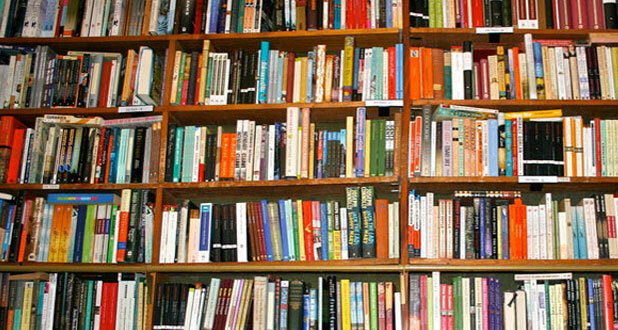 Serious books provide nourishment to the brain while novels and fictions provide refreshment. Books on history, geography, biography, philosophy, religion, travel and science not only provide pleasure but also educate us. Serious books provide solid pleasure which is essential for the long run of life. Poetry, as we all know, is read for pleasure which gives us noble thoughts and beautiful imaginings clothed in lovely and rhythmic language. Finaly, we can say books are the most faithful of all friends. Because they stay with us patiently to talk to us. They never deny company to us. Hence, an ardent reader becomes an ardent lover of books. By Gayathri KS / In Rasipuram, Tamilnadu..
Books are the good,best entertainer before 19th century one book will equalise 1000 teacher it not only improve our literature but also it bring us a new world it teach us ethics,morals and the real truth of life. Its a wounderful treasure which you could give your younger generation. It will refresh you when you rush in your life and teach you how to tackle it. Its a best advicer who doesnt look for it.